Flutist Dunning and keyboardist/percussionist Johnson have been crafting sublime Celtic fusion music for a long time (since before 2000, I believe). 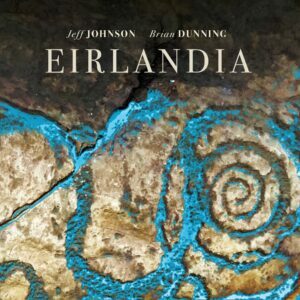 Eirlandia (inspired by Stephen R. Lawhead's Celtic fantasy book series of the same name) is one of their most sumptuous musical feasts yet, combining their considerable new age music talents with their rich tradition of Celtic influences. Most of the tracks are gentle as a morning breeze but there are moments of liveliness sprinkled here and there. Eirlandia represents a perfect fusion of electronic and acoustic elements coming together in a seamless joining of their respective strengths. Sherry Finzer (flutes) and Cass Anawaty (guitars, bass, synths, and drum programming) are Auriga and this is their second release. 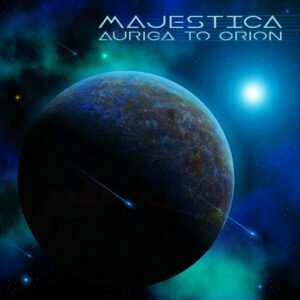 While the cover art and title may lead you to believe this is spacemusic, it's more dramatic/rhythmic than that genre. The marriage of flutes with synths and beats can be difficult to pull off, but the duo accomplish it with ease, grace, and creativity. The beats (such as on the bouncy "Kesil's Light") punch up the album with just the right amount of energy. Anawaty's synths and guitars and Finzer's flutes intertwine, complementing each other perfectly. Sure to please your customers, give this one a lot of in-store play. 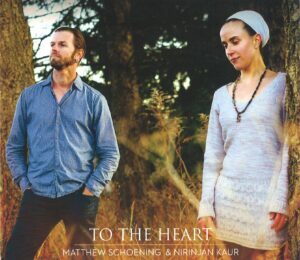 Electric cellist Schoening (who here also plays acoustic guitar, bass and percussion) teams with the wonderful vocalist Nirinjan Kaur on the sublime To The Heart, an album of Kaur's delicate singing set against a backdrop of evocative melodies and engaging rhythms. Schoening, who live loops his electric cello, is a flat-out magician and Kaur's vocals bring to mind the intimacy and warmth of Suzanne Vega (at least to me). Lyrics are sometimes English, sometimes mantras, and sometimes a blend. I was consistently impressed every time I played this recording with the spot-on integration of instruments with vocals. 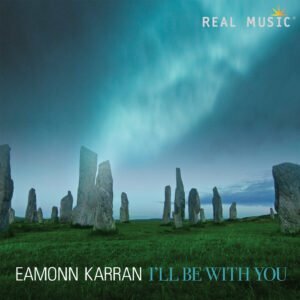 Eamonn Karran takes us deep into a personal musical voyage, as he states in the liner notes "[This album] represents the journey I and my family have taken over the last six years." Utilizing piano, keyboards, electronics and computer software, Karran blends Celtic influences with a more contemporary mixture of instrumental music styles. At times, I was reminded of Karran's Real Music label mate Bernward Koch, as both artists share an affinity for warm, rich, romantic melodies, frequently anchored by lead piano. While there are moments of drama, the overall mood is more that of peace ("The Beginning") than power ("The New Dawn"). Former rock bassist Scott continues to dazzle me with his new instrumental music's versatility and beauty. Weaving influences from new age, ambient, chill, world, blues, spiritual, jazz, and maybe even more, Scott and his guest stars (too numerous to list) paint a musical landscape that has a dreamlike quality to it, but is also engaging and, ultimately, quite human. Scott plays assorted basses, piano, organ, keyboards et al., and handles each instrument with artistry and abundant technique. Even though each track features a distinctly different compositional approach, the album represents a unified vision. 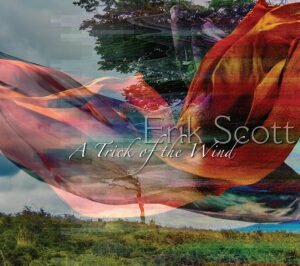 Few artists deserve the label "unique" more than Erik Scott. Renowned Irish harpist Áine Minogue (who here also plays keyboards) has enchanted her fans and fans of the instrument since 1994. On her latest offering, she adds her exquisite gentle vocals to share center stage with her haunting harp melodies. 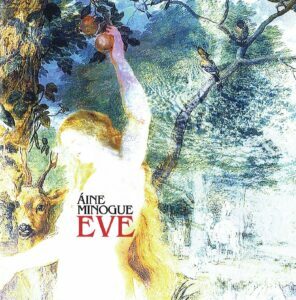 Minogue composed all twelve songs and she enlisted some great guest artists to join her assorted guitars, whistles, cello, bass, clarinet, percussion, and more. The mood throughout the album is subdued, restrained, yet so suffused with subtle beauty that it may take your breath away. Eve will be best appreciated through direct listening with as little distraction or background noise as possible. The latest album from trail-blazing new age musician David Arkenstone clearly demonstrates two things about this pioneering artist. One, he can pretty much tackle any sub-genre under the headings of new age or ambient with ease. Two, he isn't done showing newcomers how it's done. 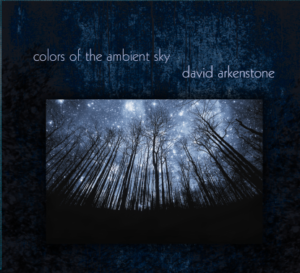 Colors of the Ambient Sky features Arkenstone going wholly electronic, and in a way that I don't recall him ever doing before. An homage to the earlier days of electronic music, the album is chock-full of chunky fat bass beats, soaring synthesizers, spacy textures, and lush underpinnings of fluid electronic melodies. This has to be one of the best "cruising around town at night" CDs of recent years! 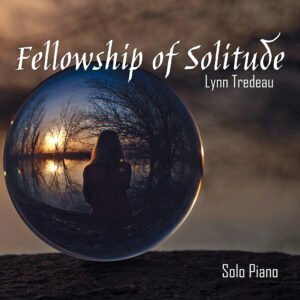 Pianist Lynn Tredeau's fifth CD is, for me, her most personal and her most accomplished. Tredeau has always had a way with simple, unadorned melodies, keeping the drama reined in and relying more on the core of her composition instead. Here, the focus is that of a more contemplative musical vision, which is reflected in both the album title and some of the tracks' titles as well ("Traces of Daylight," "What Hides in the Dark," "Peace in the Midst"). However, these twelve songs are not despairing or melancholy as much as they are introspective and invite contemplation and remembrance of past memories. We last heard from spacemusic artist Meg Bowles in 2013 with her critically acclaimed The Shimmering Land. 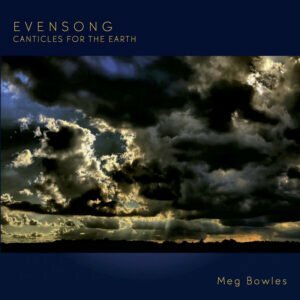 Evensong-Canticles for the Earth continues her return to the forefront in the genre (which began with 2011's A Quiet Light, after a more than 10-year absence from recording). Few artists "get" spacemusic the way Bowles does. The CD's seven selections exemplify the best qualities of this type of electronic music. Whether layering lush, warm synthesizers over gently percolating rhythms, or blending electronic tonalities with waves of textural music, Bowles takes the listener deep into the onset of twilight, embracing the beauty of our planet and, as she puts it, "being present to witness all of her ever-changing beauty." It has been way too long (ten years or more, I think) since keyboard virtuoso Hammer (of Miami Vice fame) released an album of new material. I was positively giddy when Seasons Pt. 1 arrived in my mailbox. A few minutes into the frenetic opening track, "Miami – Night," a smile erupted on my face. Yeah, Jan is back, baby! 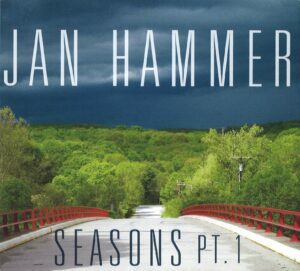 Hewing closely to the formula he set forth on 1994's Drive (less so than 1992's Beyond the Mind's Eye) Hammer wends his way through a topography of high energy tunes and more laid back selections, but each track offers up aural delights. He even takes a stab at neoclassical on the wonderful "Suite European."